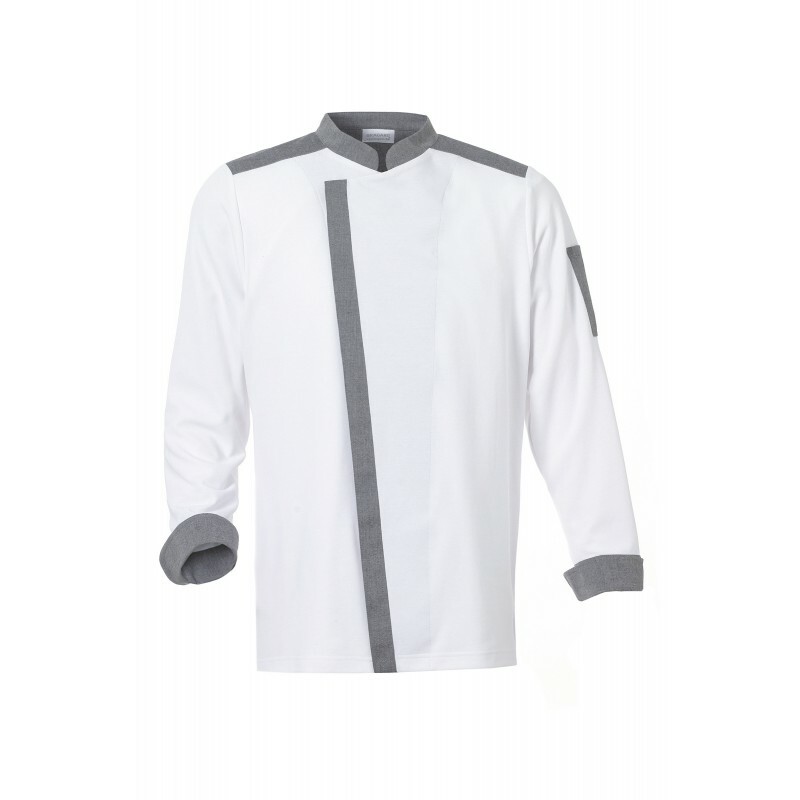 Chef’s jacket. Grey trim. Press stud fastening. 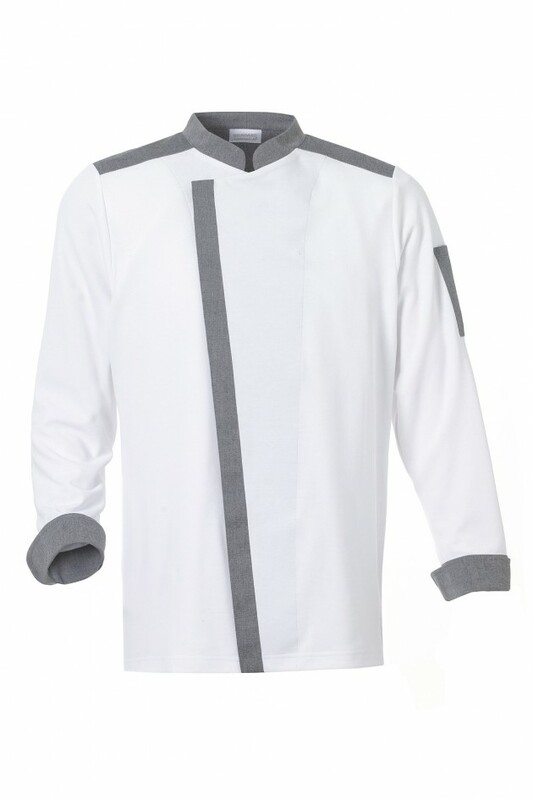 Long sleeves with turn-up cuffs with press stud fastening and pen pocket on left sleeve. Side slits. Registered design.